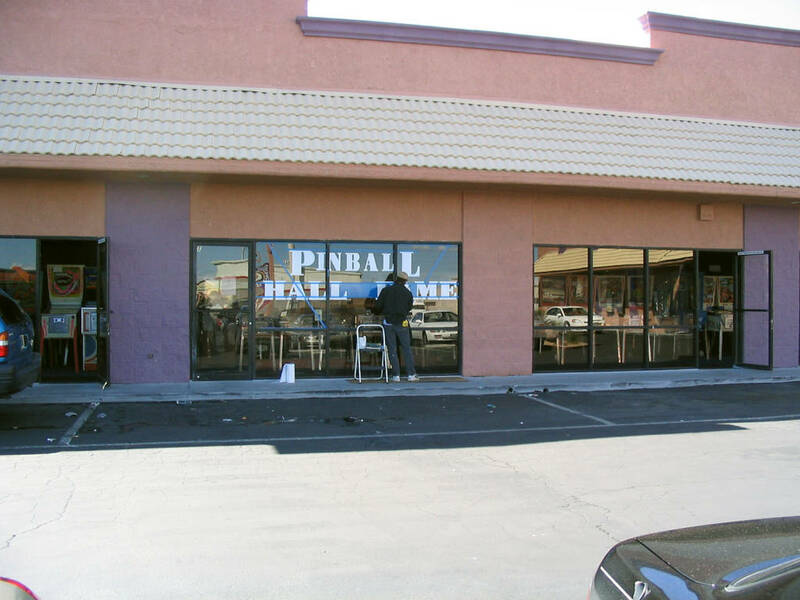 The Pinball Hall of Fame (PHoF) in Las Vegas is to move to a new, larger, higher-profile location right on the Las Vegas Strip. Owner Tim Arnold made the announcement today describing how the Hall of Fame’s current location at 1610 Tropicana Avenue, although much larger than the original home further down Tropicana, is still not the size he and the Las Vegas Pinball Collectors Club wants it to be. That original location next to the Tropicana Cinema provided 4,400 sq ft of floor space compared to the current location’s 8,600 sq ft. The new home is expected to provide 27,000 sq ft, more than three times the size of the current space. The original home of the Pinball Hall of Fame The current homeIn addition, Tim reckons that the 3.2 miles distance of the current home from the Strip acts as a significant deterrent to tourists who rarely stray far from the Strip’s many attractions. So, although they have extra land onto which they could expand the current building, the group had, for some time, been investigating several possible properties either on or very close to the Strip. They had been pursuing a vacant former motel plot, but after negotiations to purchase it stalled it was put up for sale by auction. To their surprise, the group won the auction at a lower price than they had been expecting and acquired it outright for $4,589,000 (inclusive of fees). The move will take the Hall of Fame not only closer to the main Las Vegas Boulevard (‘The Strip’) but actually onto it. Although it is at the far end of the Strip, it is very close to the iconic ‘Welcome to Las Vegas’ sign where so many tourists stop to take photographs and almost next door to the World’s largest Harley Davidson dealership. 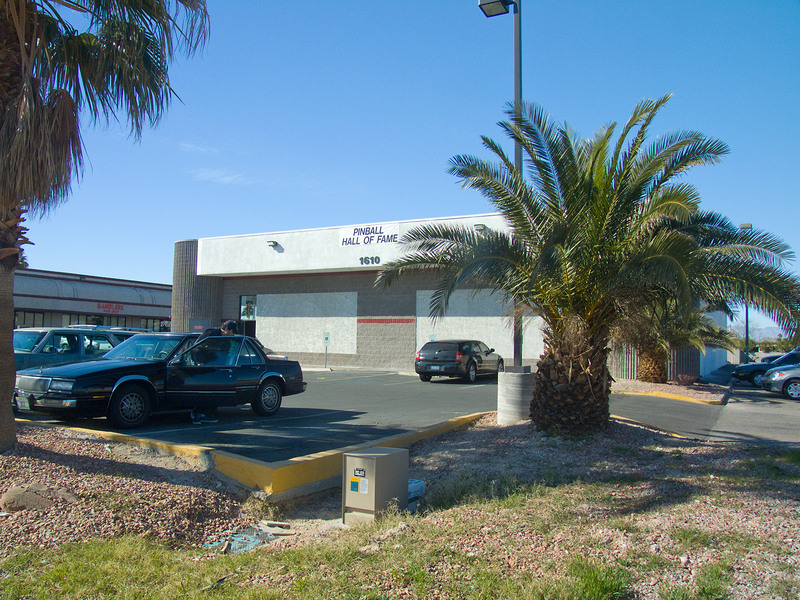 The new PHoF location at 4915 S. Las Vegas Blvd with the Welcome sign (photo: Google Maps)The move is far from a simple case of relocating, however. For a start, there’s no building on the new property. The future home of the Pinball Hall of Fame (photo: Google Maps)While building a custom-designed home for the Pinball Hall of Fame allows Tim and his colleagues the opportunity to create the perfect environment to showcase their collection, that costs money. Lots of money. Additionally, while the current building has pretty much a square footprint, the plot of land they have bought is long and thin, having an advertising sign in the front which can’t be removed. 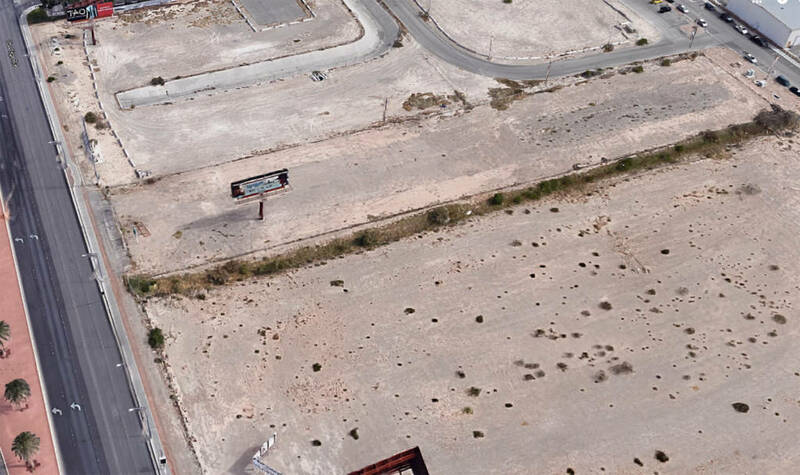 The plot where the new Pinball Hall of Fame building will sit (photo: Google Maps)So, getting the perfect building on the plot is going to be a bit of a challenge. However, Tim is confident these issues won’t prevent them building a home worthy of a World-class attraction. What is causing problems at the moment though is the money to achieve the move while keeping the existing home running. The land for the new home has been bought using a combination of cash in the bank and a bridging loan, so interest is payable until such time as the move can be completed and the current property sold to repay that loan. To help pay down the loan and get the PHoF back to making the charitable donations for which it was established, the Pinball Hall of Fame has launched a fundraising drive selling memberships to the Las Vegas Pinball Collectors Club in return for certain PHoF benefits and privileges. Here’s how Tim told the story on Facebook of the purchase of the new plot, and how he plans to raise the money to help pay for the move. AND MOVE TO OUR NEW LOCATION ON THE STRIP!For a long time our current location has been too small to even serve our current customers, let alone any increase with new customers. We had explored building a new building on the vacant lot we own next door. This would solve our space problem, but still leave the problems we have with the location. As we have grown since the start of the project next to the theater down the street, we have noticed more and more of our business has been from tourists. Where we are now is an expensive cab ride from the strip or downtown, often costing our guests more in cab fare than they spend on games while here. Uber and Lyft have helped a little, but it is still 3.2 miles from the strip.Our experement putting games inside the Riveria was a way to explore what it would be like to be on the strip. We were generally happy with the way it went, but the Hotel would NOT give us any kind of a time comittment, limiting us to a year-to-year contract. When the Riv was sold and imploded, we lost all our customer goodwill we had worked so hard to build. The lesson learned was DON’T LEASE!For the last couple years we had been looking at other locations. We had to own, not lease. It had to be big and square and it had to be near the strip. We came close to buying a K-mart on SUnset, making several offers, but it was bought by a church with a larger ability to pay. We had an aggrement with the owner of a closed Albertsons supermarket just down Sunset from the K-mart, but they pulled out because we only wanted the large grocery space and not the whole shopping center. Then we came across the Sombrero. In 1952, when this small roadsie motel was built, this was WAY out of town on the 2 lane blacktop to Los Angeles. It operated as a motel until 2000, When it was closed and demolished. It was bought and sold as a vacant lot several times, including at the top of the Real Estate Frenzy for 18 million dollars. That buyer defaulted on the note, it was foreclosed and sold again, this time for 16 million dollars. That buyer also defaulted. The bad note was sold as part of a package of notes to a financial firm in New Jersey. They listed it for sale at 6.5 million. We started negotiating with them in good faith and we were near on a price, when they suddenly stopped talking to us and put the property in and auction. Here’s where it gets wierd. They put a reserve on the price that was LESS than what we had already offered them. The reserve was hidden until bidding reached that amount, then all offers were legally binding and final. On the day of the auction, we watched as the price climbed up and up. The auction took place over the interweb with an auction guy on the phone live as a back-up. At 10 minutes before end, we upped the bid to 4,350,000. The screen turned green and the reserve had been met, we were top bidder. So, I figured the price would continue to climb. BUT NO OTHER BIDS CAME IN! The seller didn’t even bid it up himself or with a shill to a higher number. The clock counted down to zero and we owned it. Out the door with commission and taxes, $4,589,000. It can be seen by googling “4915 S. Las Vegas Blvd. Las Vegas”. There are Loopnet listings there that will show where the lot is located with an aerial photo (Serves much better than a description). It is next to the world’s largest Harley Davidson dealership, and also spitting distance from the famous Las Vegas Sign. Across the street is the Mandalay Bay. The new Raiders stadium is right across the freeway. It is within walking distance of the largest hotel corner IN THE WORLD. It is on a fast cheap and easy bus line that runs all the way up and down the strip and from Downtown without transfers. The location is STUNNINGLY GREAT! Now the downsides of this lot. As you can see by the photo, it a long and thin shape. 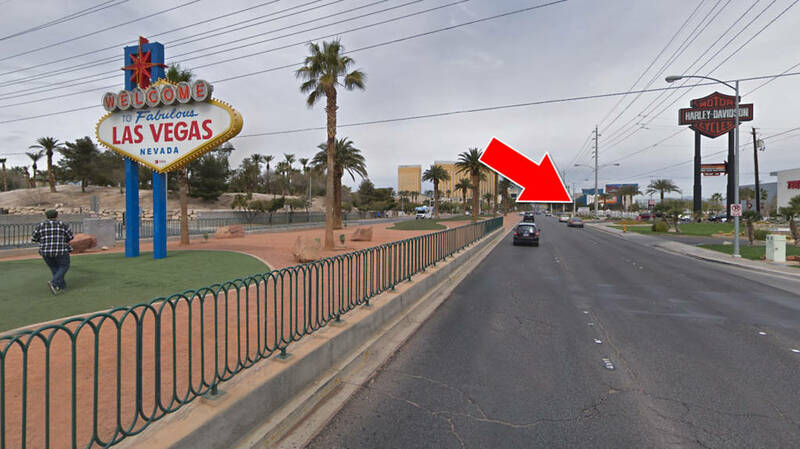 We only have 120 feet of frontage on the strip. We will need a huge sign to be noticed by traffic passing North. We will not get any visibility from Southbound traffic as the median is landscaped. The thin shape limits what and where we can build on the lot. The fire department needs to be able to turn a truck around in the parking lot. There is a billboard sign, seen in the photo as a shadow near the front, with an unbreakable lease that will have to be fit in. The Dewey Drive Extension to the rear of the property serves the aircraft hangers inside the secure fence. We have a parking lot between these hangers are our rear. We are unsure at this point what our rights to the Extension or the parking lot are. We have approved drawings that solve most or all these issues with a 27,000 sq ft building all the way to the rear of the lot with a 96-space parking lot to the front. Draw a line about half way, and you will see where the building sits. Our current space on Trop is 8600 sq ft. Our old space next to the theater was 4400 sq ft. The Hit Shed is 9600 sq ft. The K-mart was 86,000 sq ft. The Albertsons was 48,000 sq ft. This space gives us the ability to more than double the amount of games with wider isleways and more restroom area. Then the debt becomes crushing. It will swallow half or more of our cash flow, leaving us open to problems if there is a hickup in cash flow or an unexpected cost. 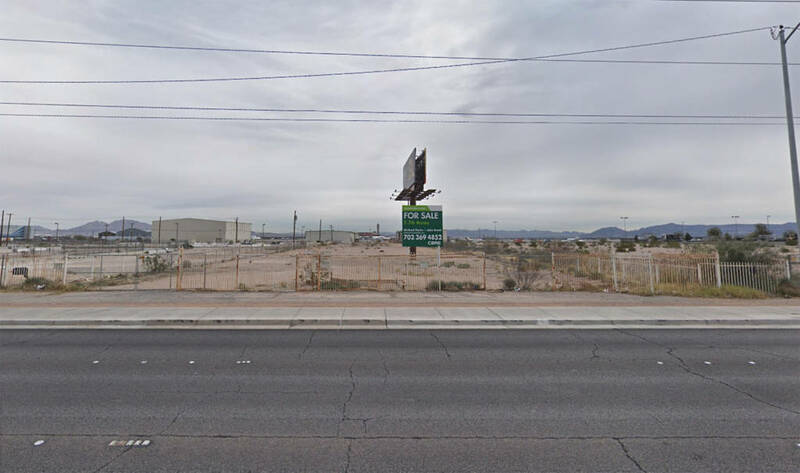 The positive thing is that our existing lot and building on Trop were appraised recently for 2.7 million, this will be sold as soon as we open on the strip and these funds used to retire the bridge loan and reduce the construction loan. By common metrics we are on the high side of comfortable for debt-to-equity and debt-to-cashflow. It will also mean that we will stop almost all our charitable giving for the near future. This hurts me personally a LOT as that is why we started this project. This is where the pinball community comes in. Up to this point we have NEVER asked for any monetary contributions from anybody. We have 100 percent self-funded by selling stuff and things. Fun night raffles, pinball machines from my and others collections, and mostly coins in games. NOW WE NEED HELP! Lots of help. Lots of YOUR help! We will only ask for contributions once. Once we get over this hump, it’s back to charitable giving and building a small reserve. We have decided to sell memberships in the Las Vegas Pinball Collectors Club. Basic membership will be 50 dollars, which will get you a shirt and a small listing on the Pinball Hall of Fame WALL OF FAME. 100 dollars will get you a shirt, a 5 disc set of PinGame Journal Promos and Clips (Thanks Jimmy!) and a larger listing on the wall. 500 and up will make you a Gold, Platinum, or Super Krell Metal membership. All donations are tax deductible above the amount of the gifts given and will only go to help us reduce debt. Please consider helping us out. We are ready to sign people up NOW for membership and ship shirts and DVD sets. We are avoiding the usual Kickstarter model as we have always been a do it ourselves kind of thing. You can PayPal with USMAil shipping info to pinballhalloffame@msn.com or send checks to Pinball Hall of Fame 2620 S. Maryland # 241 Las Vegas NV 89109. I will be posting as we go along with totals raised and progress made. We will also be selling memberships live in the museum via a special vending machine.Pinball News will keep you updated with the progress of the membership campaign, the move and the creation of a new home for the Pinball Hall of Fame.